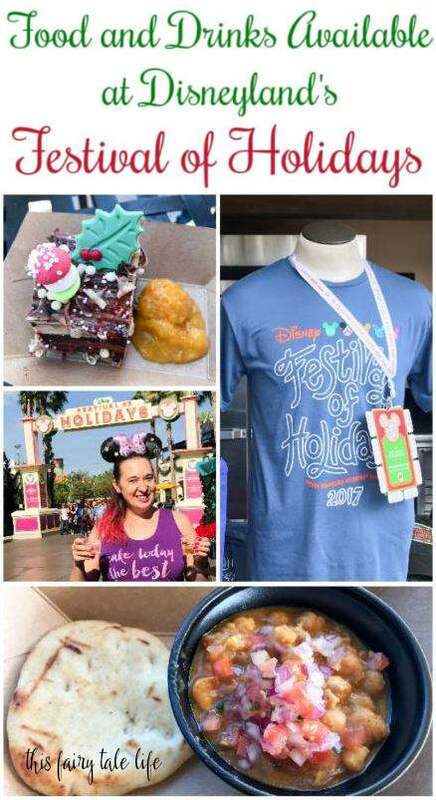 Festival of Holidays is back for the second year, and it does not disappoint! 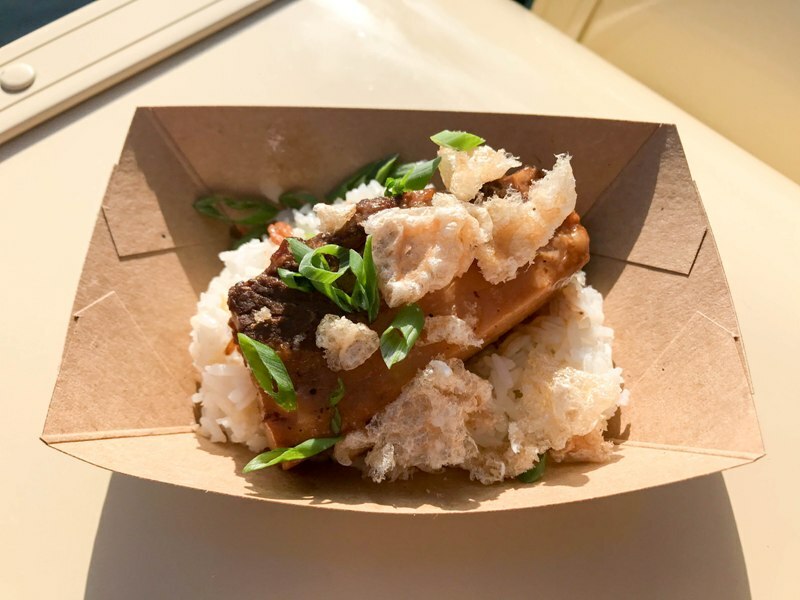 There are several new food offerings and even a few repeat favorites. I obviously wasn’t able to try everything in one day, but I’ve shared my opinions on what I ate below. 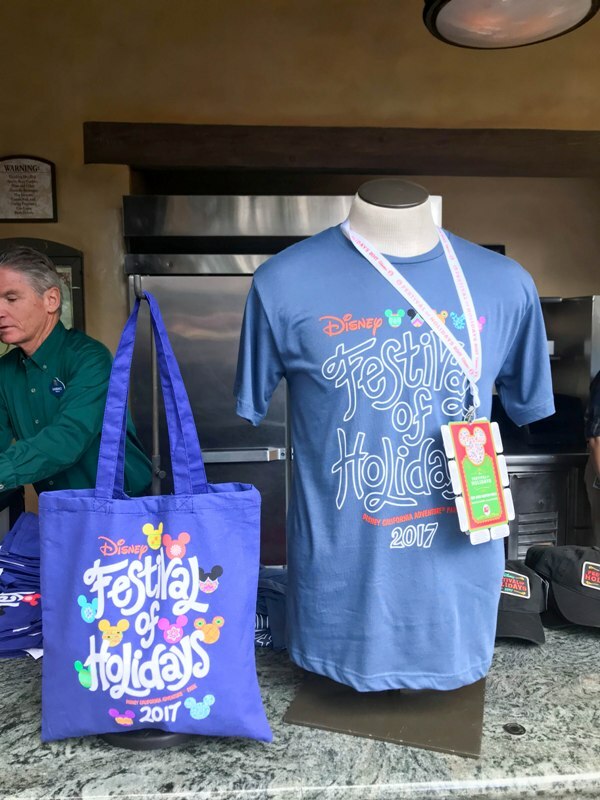 But first, a quick introduction to Festival of Holidays if you’re not familiar with it. 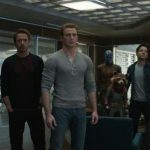 What and When is it? 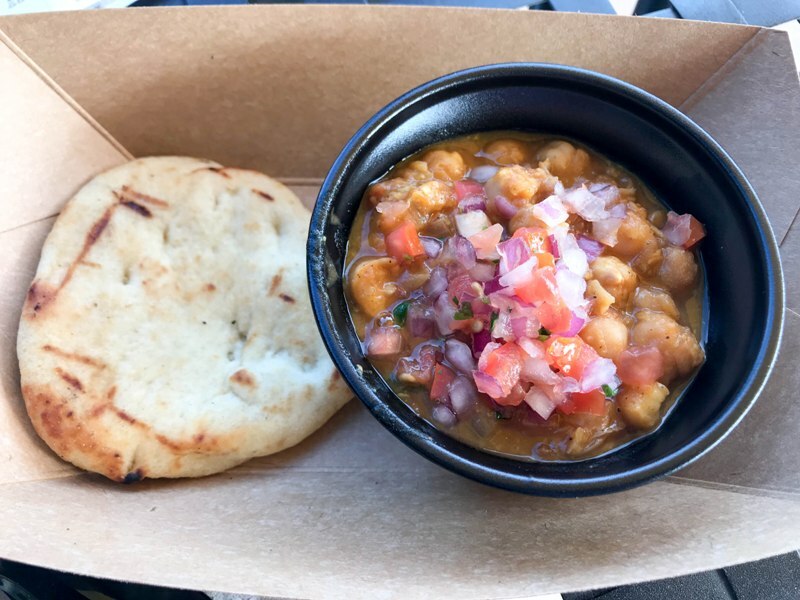 Disney California Adventure Festival of Holidays is a celebration of the delicious foods and spirits of the holiday season, from around the world. 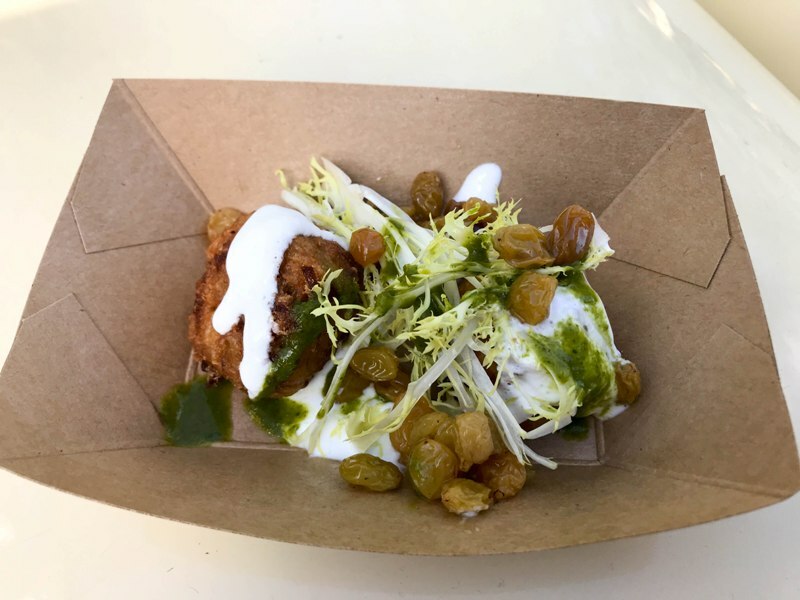 Guests can purchase small plates of a variety of delicious foods, wines, beers, and other drinks. 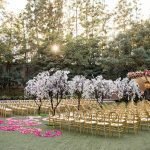 Entertainment and activities are also available, such as live performances by bands and dance troops, and cookie decorating for kids and adults. 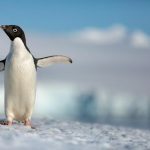 Festival of Holidays is being offered every day between November 10, 2017 and January 7, 2018. 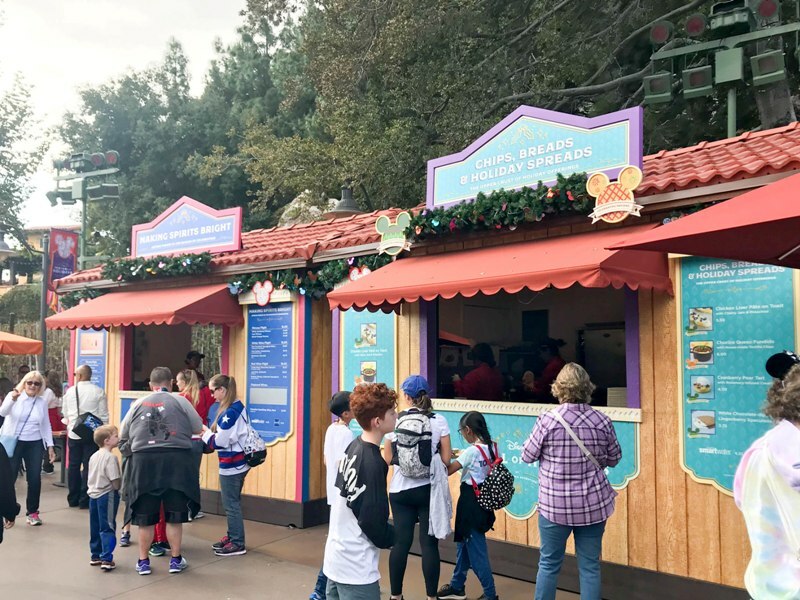 Regular Park admission is required, and food and drink items are an additional cost. 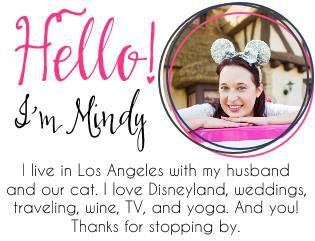 If you’re planning a trip to Disneyland, I recommend booking through Get Away Today! 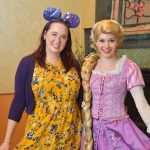 Use code FAIRYTALE to get an additional $10 off your vacation package! 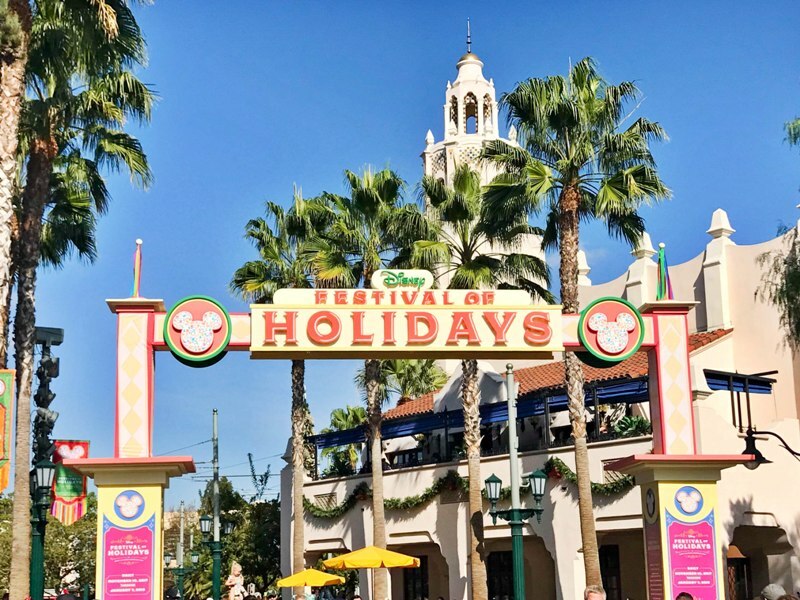 Festival of Holidays is taking place at Disney California Adventure (and there is a huge light-up sign promoting it right at the entrance this year). Once inside the park, make your way to the Festival Corridor, starting adjacent to Carthay Circle Restaurant. There is a fun photo op right at the festival entrance this year, and I saw rotating characters like Pluto and Clarabelle. There are 12 Marketplaces along the Festival Corridor, with 3 or 4 food items and 2 or 3 drink options at each. Adjacent to each Marketplace are cocktail tables where you can stand and eat your food. Utensils and napkins are available from self service dispensers. There are also several tables with chairs and cocktail tables set up along the corridor. In between Marketplaces you’ll also find kiosks selling official event merchandise, as well as some third-party products. When you first enter the Festival Corridor, grab a paper map and “Tasting Passport.” This will show you the location of the marketplaces and the list of foods. The Tasting Passport is very handy, because you can check off items as you go, and also make notes in the back of the book. The book also indicates which items are “gluten friendly” and vegetarian. To order food and drink items, approach the registers next to the Marketplace, pay for your order, then take your receipt to the window of the Marketplace. 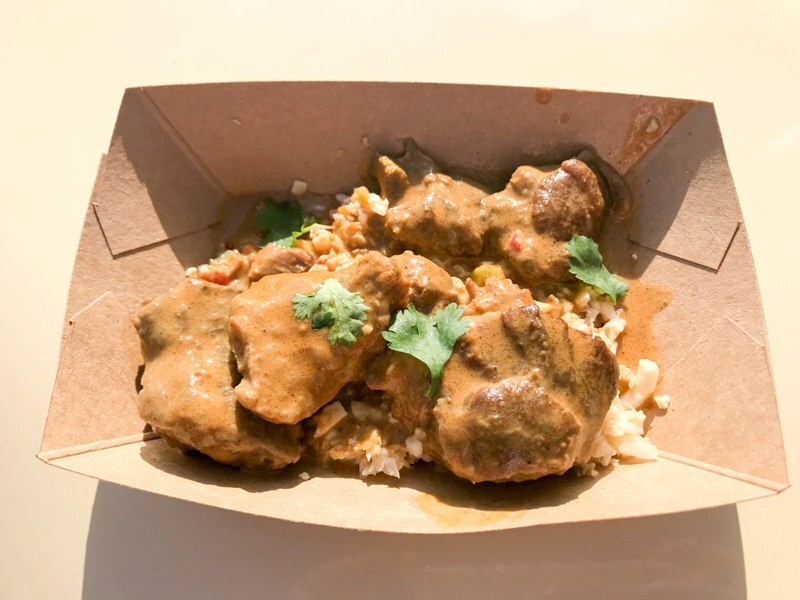 Your food and drink items will be prepared quickly, and you’ll be given a cardboard tray if needed/requested. You can take your food to a nearby table. Don’t forget to grab napkins and utensils! 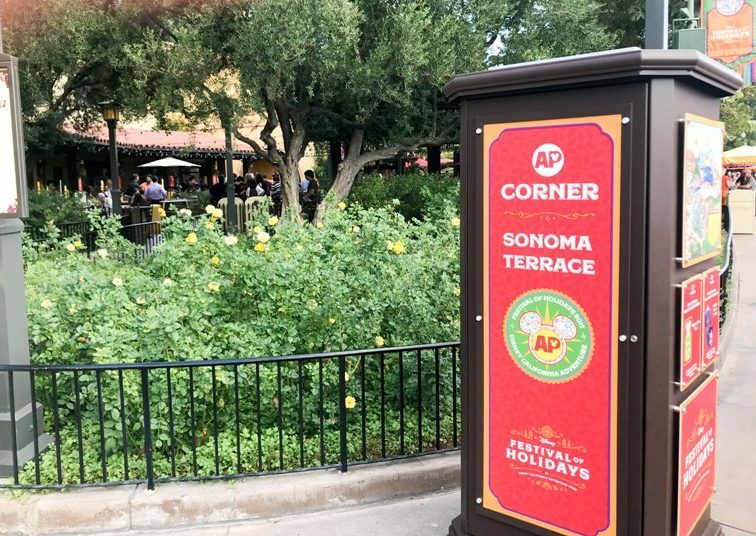 If you are an Annual Passholder there is a special area set up just for APs at Sonoma Tasting Terrace. 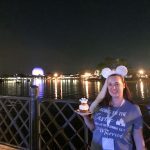 You can grab your free AP button, take a photo at the special backdrop, charge your phone, order special foods just for APs, or just sit and relax. This location is a major upgrade from Blue Sky Cellar; my only concern is what happens when it rains. You can also get the special merchandise, and the AP lanyard here. Each tab on the lanyard can be redeemed for one food item at any of the kiosks (excluding alcohol). The lanyard is $45 for eight tabs, making each tab worth $5.50. Food prices range between $4 to $8, so if you use the tabs on the right items this is certainly a good deal for Annual Passholders. Obviously I recommend eating everything! 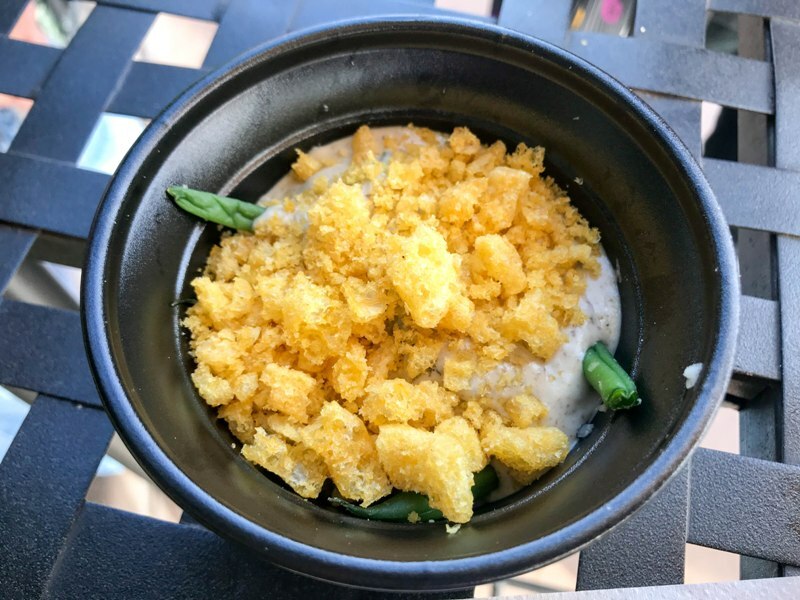 For full menus, please visit the Disney Food Blog. They have each food and drink item listed, plus prices! 1. Chips, Breads, and Holiday Spreads – I didn’t try anything from this booth (chicken liver is not my thing) but the cranberry pear tart is on my list for next time! 2. Making Spirits Bright – This year they are offering a white wine flight, red wine flight, and mimosa flight. 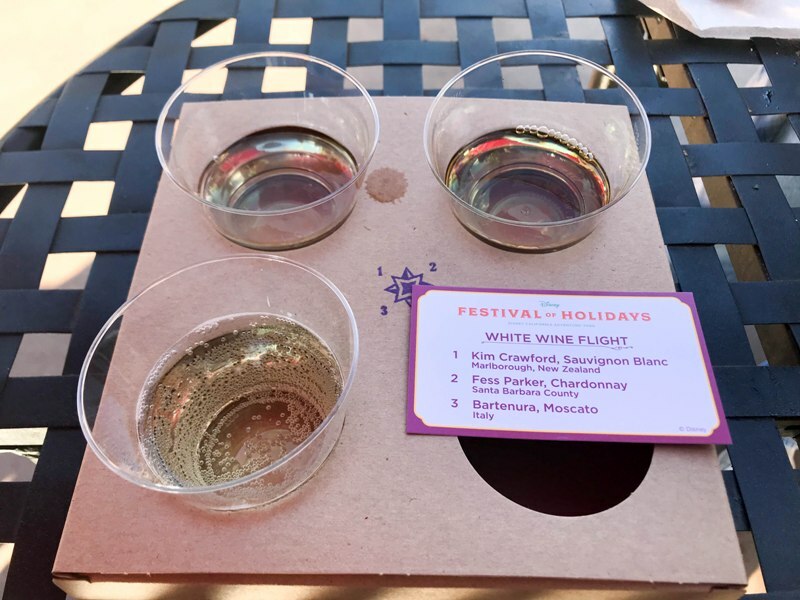 I tried the white wine flight which featured Kim Crawford Sauvignon Blanc, Fess Parker Chardonnay, and Bartenura Moscato. 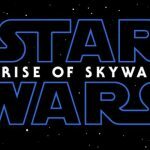 I enjoyed all three! The mimosa flight features White Cranberry, Pear (a repeat from the spring festival), and Blood Orange. I saw a lot of people walking around with single servings of the blood orange mimosa so it must be good. I can’t wait to try a flight next time! 3. 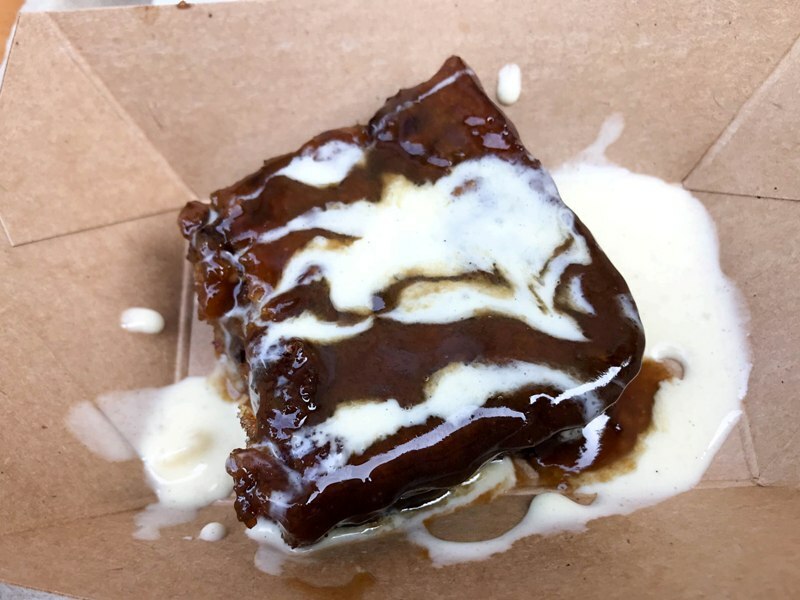 Joy to the Sauce – Tried the Beef Short Rib and Sticky Toffee Pudding. Both were very good. FYI, the short rib needs a knife. It does not pull apart with a fork. It’s basically like a meat cube. I also tried the Holiday Eggnog Cocktail here. It was heavenly. 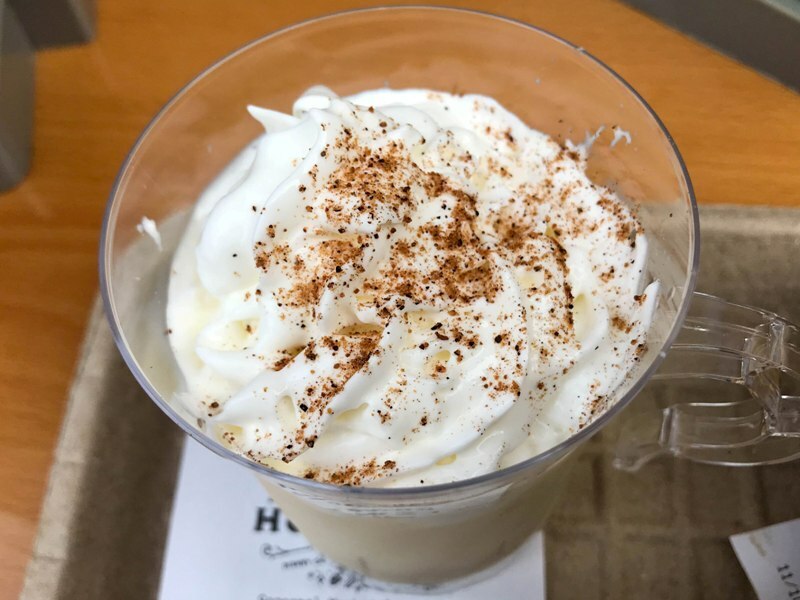 Similar to last year’s eggnog, but served chilled instead of warm. 4. 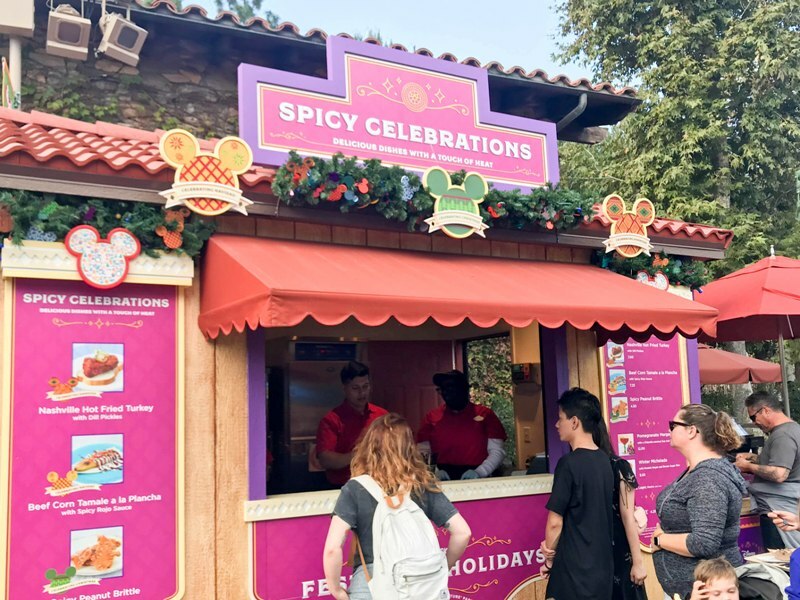 Spicy Celebrations – They had this same booth last year with some flavorful options, but this year the “spicy” stands for hot spicy. Nothing here appealed to me so I skipped it. 5. Brews & Bites – Offering two different beer flights and several beers by the glass, plus a Bavarian Pretzel or Spicy Salami with Crackers. My dad tried the pretzel and said it was good (and huge)! 6. Holiday Duets – The most popular booth of the festival, since this is where you get Mac & Cheese. Sadly for me it’s made with cornbread this year so I cannot partake. However, on a future visit I will wait in the ridiculous line so I can try the Cookie Butter & Jelly Cheesecake. 7. Classic Crocks & Casseroles – Tried the Masala with Naan, and the Green Bean and Mushroom Casserole. The Masala was too salty for me, which is shame because they give you a hearty serving. The casserole was my favorite dish of the day. It’s very cheesy, and tastes like cheesy mushroom soup. So good. 8. 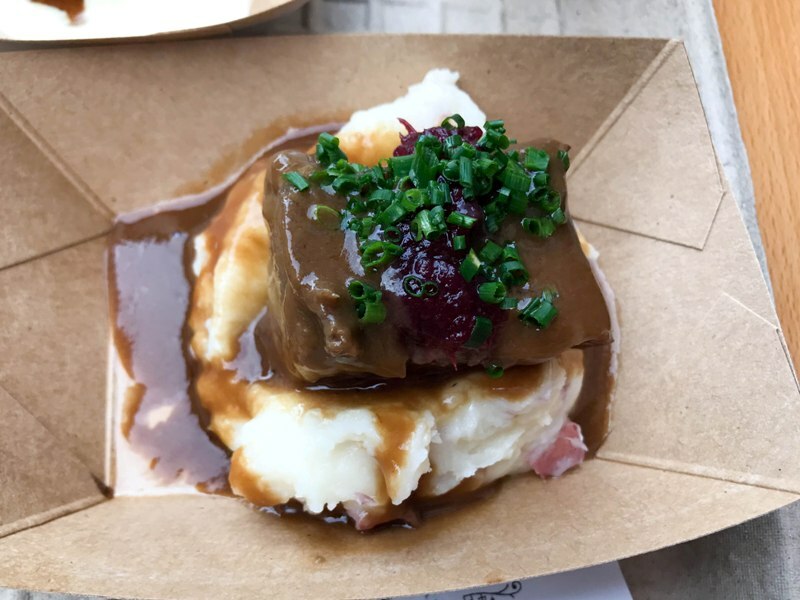 Blissfully Braised – Here I got the Pork Belly Adobo, and the Lamb Cheeks. I was a little disappointed in the Pork Belly; I know it’s fatty but this was just too much for me. However I enjoyed the Lamb very much. 9. A Twist on Tradition – This marketplace has a repeat from last year, the Reuben Potato Smash, which I remember was very good. 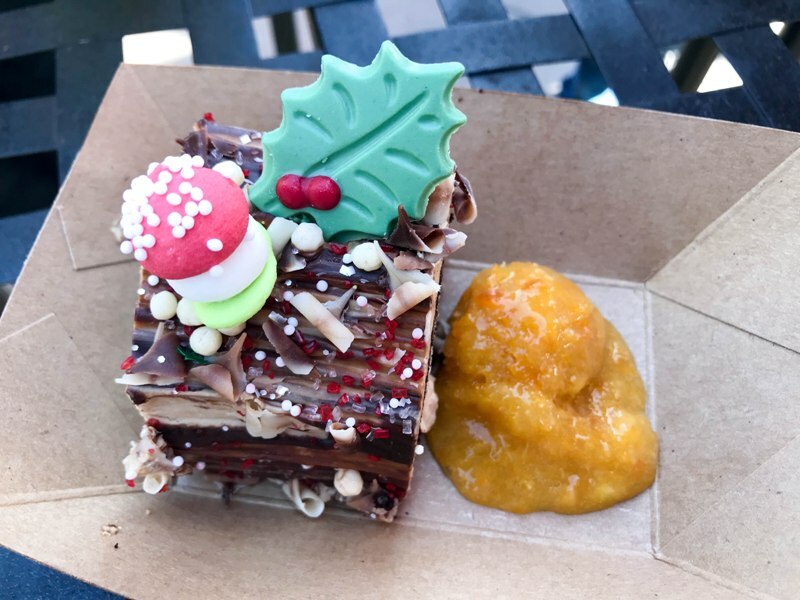 This year I tried the Butternut Squash Fritters and the Chocolate Yule Log. The fritters were okay, a little bland. The yule log was delicious with the clementine compote! 10. 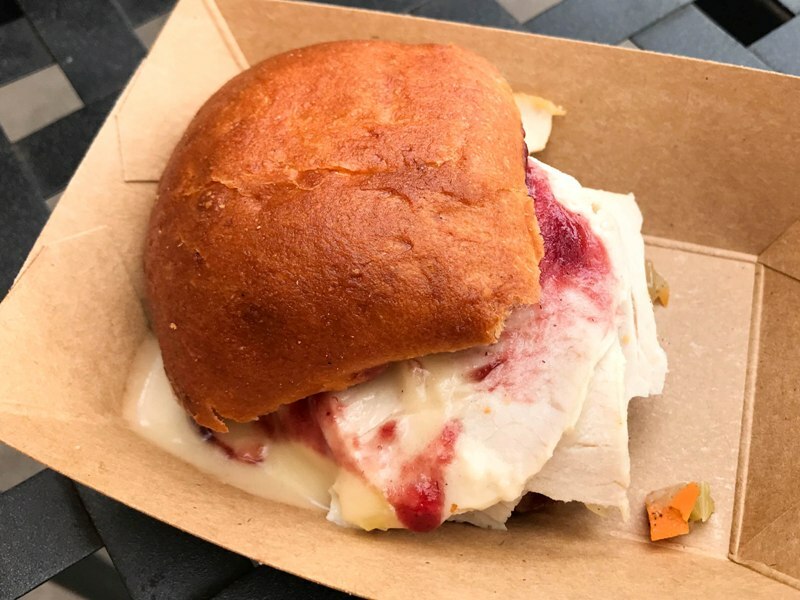 Winter Sliderland – Yet another repeat here, the turkey slider with cranberry sauce, but I got it again because I liked it so much. They also have a ham slider and an eggnog macaron. 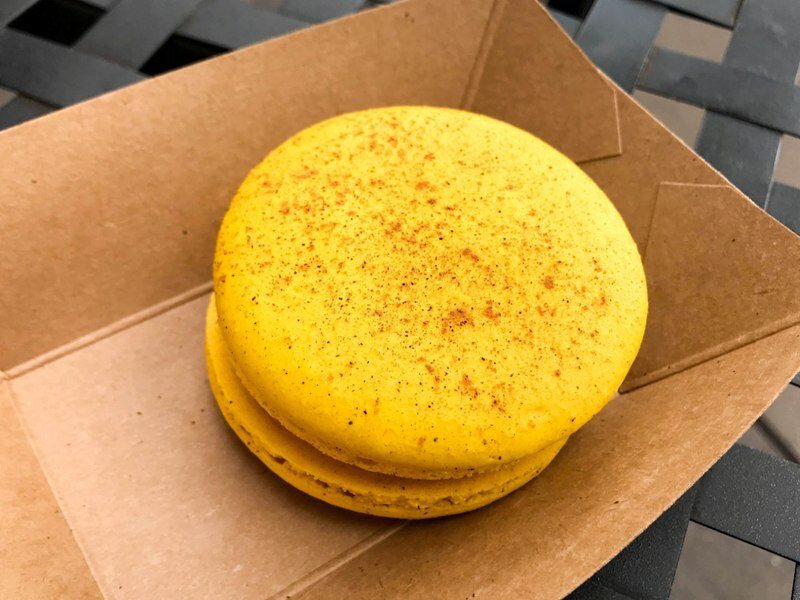 I tried the macaron and it was soooooo good. There’s a little caramel surprise in the middle. I’m definitely getting this one again. 11. Grandma’s Recipes – I didn’t try anything here. My friend tried the brisket and said it was delicious, and looked like a generous serving too. So I’ll definitely try it next time, along with the sweet potato pie. 12. 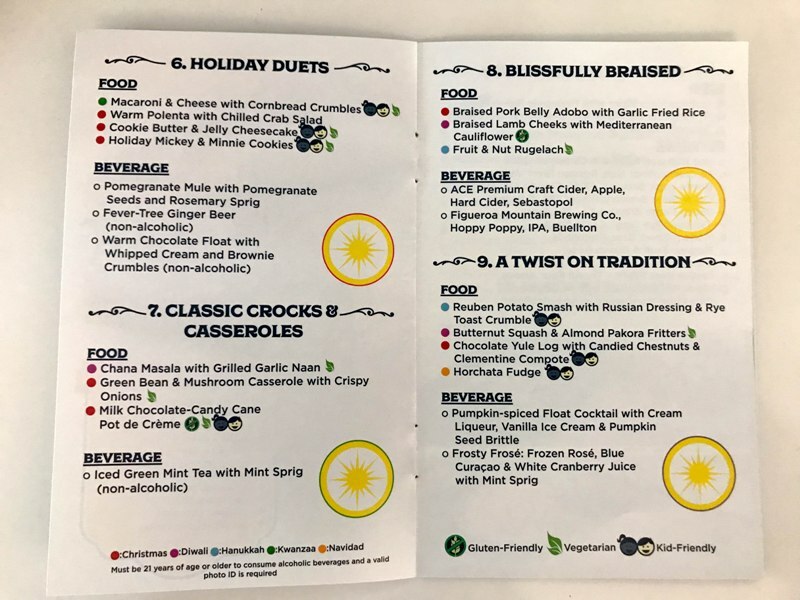 Festive Holiday Extras – Another marketplace I didn’t get to, but I want to try everything: Brussels Sprouts with Goat Cheese, Baked Cheesy Scalloped Potatoes, and Pineapple Kesari (which I’ve heard is kind of like a jello). The “Treats for Santa” marketplace is back, with a cookie decorating kit and a Warm Bourbon Cider for the adults. 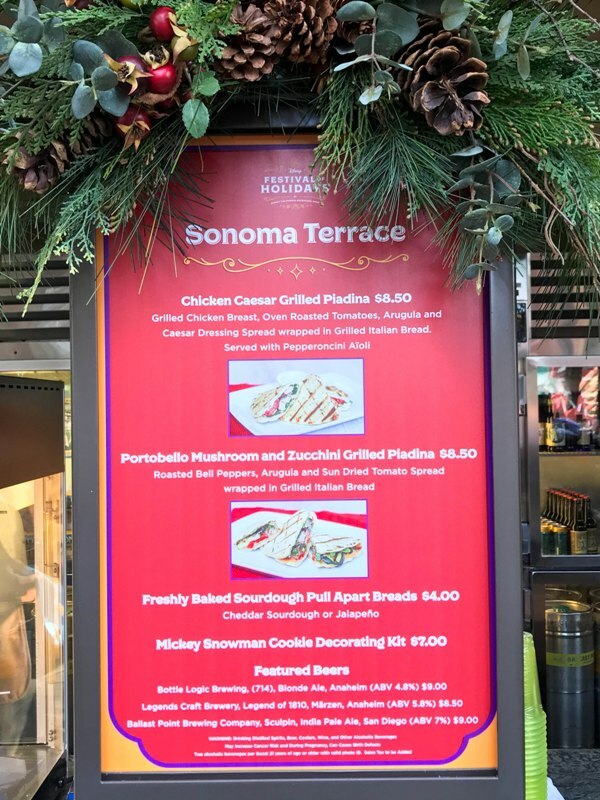 There are also some seasonal offerings at Paradise Garden Grill, Hollywood Backlot, and the AP area at Sonoma Tasting Terrace. 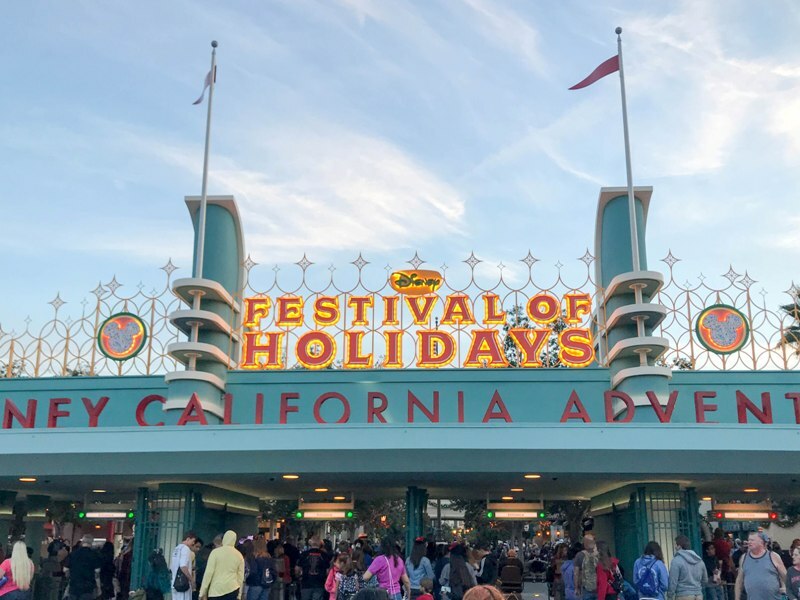 The Festival of Holidays is a fun addition to Holidaytime at Disney California Adventure. If you’re a foodie like me, you won’t want to miss it!